The Chicago Bears free agency plan for 2018 can’t begin until they assess their own situation. Including unrestricted, restricted and exclusive rights they will have 25 players coming out of contract this March. That is almost half their current roster. Plenty of big names are included in the masses. Among them are Christian Jones, Cameron Meredith, Prince Amukamara, Kendall Wright and Lamarr Houston. All take a certain priority to retain for GM Ryan Pace. Yet none are even close to the importance of Kyle Fuller. The 25-year old former first round pick emerged in a big way last season. After two up-and-down years to start his career, he missed all of 2016 with a knee injury. People didn’t know what to expect upon his return. 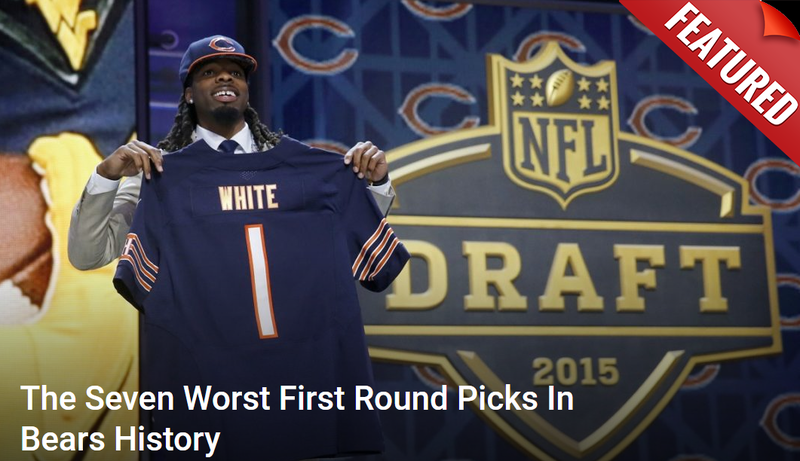 That was why the Bears didn’t pick up the fifth-year option on his rookie contract. He responded with a breakout season that included two interceptions and 22 passes defended. Outside of Akiem Hicks he was the best player on the Bears defense. Letting him walk after such a good year would not be wise. That’s why reports indicate the team is already talking to his representatives about a contract extension. They have until March 14th to get something done. Otherwise Fuller becomes a free agent. That is unless they go with their trump card. An extension would be preferable in terms of long-term security. However, this sort of situation is tricky. Fuller had a terrific year, but the timing of it is dangerous. His first great season came when his contract was expiring. Too many times teams have handed out huge deals to players who played great in a contract year, only for those players to regress after getting their big payday. This is the landmine the Bears undoubtedly want to avoid. This is why the franchise tag is likely in play for Fuller. #Bears CB Kyle Fuller is a candidate to receive the franchise tag if both sides can't get a long term deal done. The idea from the Bears’ perspective is simple. They pay Fuller top five money for 2018 but maintain security against overpaying him on a long-term contract. If he repeats his standout performance from this past season, they can adjust their offer accordingly in 2019. If he doesn’t, then they can either get him back on a cheaper deal or let him walk knowing they made absolutely certain whether he was the real thing. People may view this as similar to the Alshon Jeffery situation that ultimately resulted in the wide receiver leaving. However, it’s a bit different. Jeffery had clear intentions of leaving. There’s no indication Fuller feels the same way. It’s likely he’s seeking the biggest possible contract he can get. This is how the business works.